In this steampunk-stylized reimagining of the wild west, a gunfighter "gadgeteer" joins forces with a preacher and his beautiful daughter to travel to the netherworld and relock the Gates of Hell. Legend has it there is a map that will guide those brave enough to venture through such ominous-sounding places as Rattlesnake Canyon, Dead-Man’s Valley, and Satan’s Pass. A map that inexorably leads to a large black X in the lower right-hand corner. In other words, a map that leads straight to the gates of Hell. If the legend is true, a treasure trove awaits the man or woman brave enough to enter, for the map speaks of an underground chamber, Avaritia, just beyond the fiery lake of drowning souls, that contains riches beyond the wildest imagination. 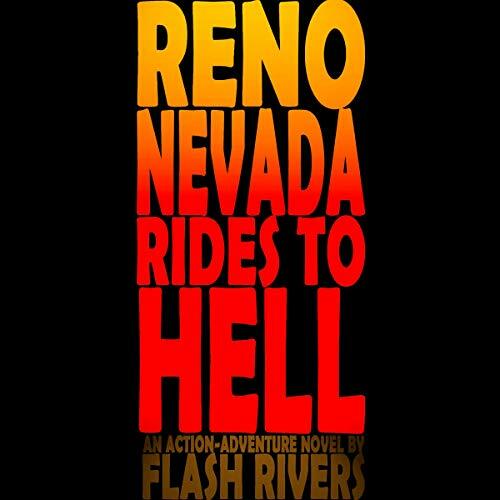 Reno Nevada always thought the legend was a myth, that is until the Preacher snatched him from the evil clutches of his old friend Harlan and showed the intrepid gunfighter evidence to the contrary. As explained by the pious man with the white collar: “The map will get us to the gates, but we cannot succeed in our quest to close the gates and stop Armageddon without the key.” Reno has the map and the Preacher along with his beautiful daughter know where to find the key. But Harlan and his blood-thirsty band of cutthroats have their sights set on the treasure and won’t let anything stand in their way. Even if it means the end of all that is holy and pure. The players are set, and the battle lines have been drawn.